At least two tractor trailers were involved in a series of multi-vehicle crashes Tuesday, leaving at least four people injured and snarling traffic in Virginia along I-95 and Route 1 in Stafford and Prince William counties for hours. 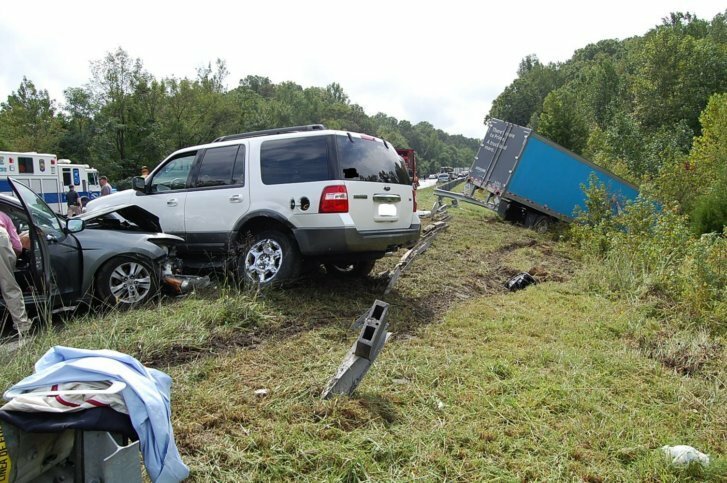 WASHINGTON — At least two tractor trailers were involved in multi-vehicle crashes around noon Tuesday that closed the southbound lanes of Interstate 95 in Stafford County, Virginia. Virginia State Police say they responded to a series of chain-reaction crashes between exit 143 (Aquia/Garrisonville Road) and exit 140 (Courthouse Road). At least four people have non life-threatening injuries. The results of the crash investigation were not immediately available. VDOT announced shortly after 4:30 p.m. that all southbound lanes of I-95 reopened, but major backups remained well after the usual rush hour, especially along Route 1, which served as the primary detour during the hours-long closure. Get the latest road and traffic conditions at the WTOP Traffic Center.